India is a country of mixed cultures and that applies to every field including medical/pediatrics industry. We still believe in superstitions even after having accomplished proficiency in the various fields of science. 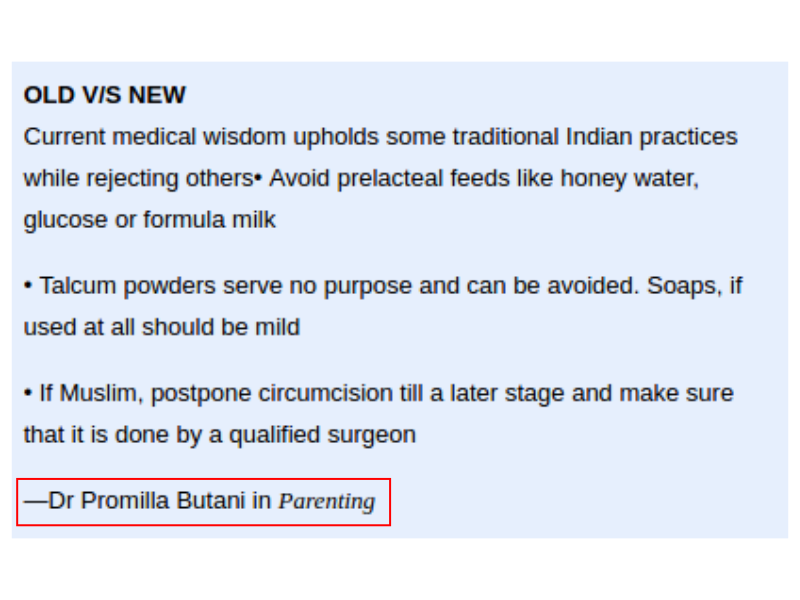 Here's a small excerpt in which Dr. Promilla Butani shares how contemporary Indian pediatrics works its way through Old vs. New. You can read the complete article at https://www.lifepositive.com/bringing-up-baby-2/ as published on https://www.lifepositive.com .